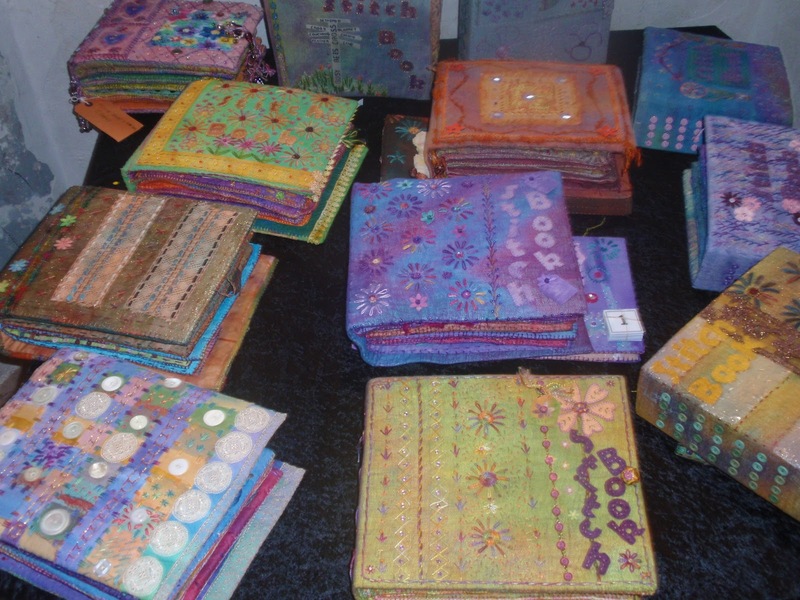 There is a lot more than just beautiful quilts at the exhibition. There are some lovely sampler embroidery books made at an eleven lesson course at Busy Bees. At the course students learn lots of embroidery stitches and make these really attractive books so that they have a reference to inspire them in their further work. The tree books are the follow-on course to the sampler books where the students take a few more steps along the embroidery road. i am sure you will agree with me, all the books are delightful.